Where will the Israeli people be during the Tribulation? There is a terrible time of judgment and suffering coming upon the land of Israel; more terrible than the destruction of Jerusalem by the Romans in 70 A.D.; more terrible than the holocaust. This is a 7 year period called the Great Tribulation. Mat 24:21-22 For then shall be great tribulation, such as was not since the beginning of the world to this time, no, nor ever shall be. 22 And except those days should be shortened, there should no flesh be saved: but for the elect’s sake those days shall be shortened. Q: Where will the people of Israel be during the Tribulation? During the Tribulation period the Jewish people will fulfill several roles in many places: evangelist, refugee, casualty, slave, and symbol of hope! 1. During the tribulation 144,000 will be preaching the Gospel in all the world. The 144 thousand are described in Rev 7:3-8 as 12 thousand from each tribe of Israel. They are sealed so that no harm comes to them during the Tribulation. Who are they? My favorite view is that they preach the gospel to every nation (Rev 14:1-7) before Jesus returns with vengeance at the end of the Tribulation. It is true that the Gospel was preached to every creature which is under heaven by the Disciples and Apostles (Col 1:23). It will also be preached to the whole world during the 7 year tribulation period. 2. In the middle of the tribulation Jews in Judea will flee to the mountains. Some of the people of Judea (region around Jerusalem) will flee to the mountains where God will sustain them for three and a half years (Mat 24:15-16, Luke 21:21-22). I think that this place is on the east side of the Jordan River near Jericho and Mt. Nebo, where Israel entered the land after the exodus. It is also the place where ravens fed Elijah as he hid (1Ki 17:3). Not all of Judea will heed this warning. “Wings of a great eagle” (above) refers to God’s supernatural help given to Israel in time of flight. This idiom is applied to Israel during the exodus in Exo 19:4. It is also applied to Israel’s deliverance from Jerusalem at the end of the tribulation in Isa 40:31. It is applied here to the people in Judea just before Israel is overrun with its enemies during the tribulation period. 3. During the tribulation period two thirds of the people in the Land of Israel will be killed. One third of the people in the Land of Israel will remain. The Great Tribulation begins in the whole land of Israel. 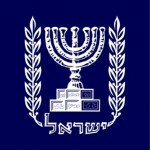 Two thirds of the people in all the land of Israel will die. There are 6 million Jews in the land of Israel today. There are some 13.5 million Jews worldwide. It is likely that many more Jews will live in Israel then. Zec 13:8-9 And it shall come to pass, that in all the land, saith the LORD, two parts therein shall be cut off and die; but the third shall be left therein. 9 And I will bring the third part through the fire, and will refine them as silver is refined, and will try them as gold is tried: they shall call on my name, and I will hear them: I will say, It is my people: and they shall say, The LORD is my God. 4. 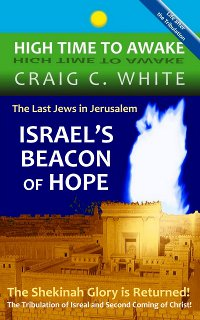 One half of the Jews in Jerusalem will be taken captive. Jerusalem will be plundered. Half of the population will be taken away. See number 6 to find out where. Zec 14:1-2 Behold, the day of the LORD cometh, and thy spoil shall be divided in the midst of thee. 2 For I will gather all nations against Jerusalem to battle; and the city shall be taken, and the houses rifled, and the women ravished; and half of the city shall go forth into captivity, and the residue of the people shall not be cut off from the city. 5. A small band of Jews in Jerusalem will be fortified on Mount Zion. The residue described in Zechariah 14 above is a small part of the remaining one half of the Jerusalem residents. They will stay on Mount Zion until Jesus rescues them. Isa 30:17 One thousand shall flee at the rebuke of one; at the rebuke of five shall ye flee: till ye be left as a beacon upon the top of a mountain, and as an ensign on an hill. 18 And therefore will the LORD wait, that he may be gracious unto you, and therefore will he be exalted, that he may have mercy upon you: for the LORD is a God of judgment: blessed are all they that wait for him. 19 For the people shall dwell in Zion at Jerusalem: thou shalt weep no more: he will be very gracious unto thee at the voice of thy cry; when he shall hear it, he will answer thee. 6. The captured Jews of Judah and Jerusalem will be taken to Lebanon and there sold to Greece as slaves. The captives of number 2 and number 4 will be enslaved. Some of the captives may be taken to the city called Mystery Babylon (Rev 18:4 & 24). Joe 3:4-6 Yea, and what have ye to do with me, O Tyre, and Zidon, and all the coasts of Palestine? will ye render me a recompence? and if ye recompense me, swiftly and speedily will I return your recompence upon your own head; 5 Because ye have taken my silver and my gold, and have carried into your temples my goodly pleasant things: 6 The children also of Judah and the children of Jerusalem have ye sold unto the Grecians, that ye might remove them far from their border.